Happy Motivational Monday! This week has been super busy with Christmas stuff going on. Hopefully everyone is having a great holiday week! I chose to go back to my Weight Watchers meetings on Wednesday, and I'm really glad I did it. It was hard to go and weigh in after so long, knowing that my weight was up quite a bit from early this year. But I'm proud of myself for sucking it up and just doing it. I wish I'd have done it a long time ago, because my leader made me feel so much better! This week, I've been doing pretty well with counting my points. My PointsPlus are in the negative for the week, but I'm okay with that. I'm still tracking everything, and regardless of how my week ends, I'm going to go to my Weight Watchers meeting on Wednesday morning and weigh in. Tomorrow is the last day that will be really difficult for me (I'm having friends over, and there will be food and drinks). Only a couple of stories to share for MM today--but good ones! Enjoy. Leona (on right in photo) has lost 63 pounds since March! 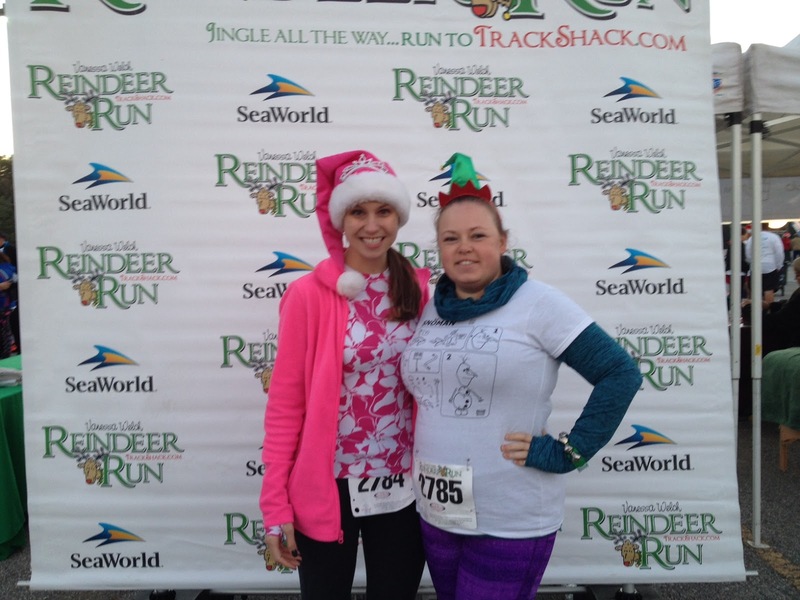 She's been doing 5K's throughout her journey, and at the SeaWorld Reindeer Run, she clocked 36:05--a full 4-minute PR from a month earlier. She was feeling frustrated because her weight had plateaued for about a month, but seeing her 5K time improve so drastically was just the encouragement she needed to keep going. 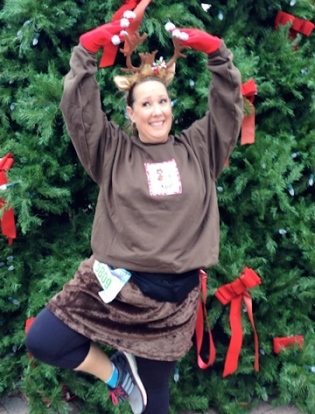 Cassie ran the Santa Hustle Half this weekend! After becoming single early this year, she searched for healthy ways to be social. She met some women through her running community in Austin, and now they are her "sole sisters". They ran the Santa Hustle together, and had a blast! As you may have noticed, I'm getting close to the 100th Motivational Monday post. For that post, I thought it would be super fun to share stories of those of you who have lost 100+ pounds. I've gotten lots of emails from readers who have lost huge amounts of weight, and it's always so fun to see the before and after pictures. I just wanted to say thank you for blogging and continuing to be authentic and genuine. You and your blog are an inspiration. I too lost someone so dear to me last year and the ups and downs are so identifiable. Here's to 2015! Katie! What a kick in the pants for me to get these last 10 pounds off (well 15 now) to get to 100. I don't want to miss out on that post. As the commenter above said, thank you and your blog for your constant inspiration despite the difficult year you've had. I know 2015 is going to be a great year!